As soon as I switched to elementary from 6th grade, I knew the first thing I wanted to implement was Daily 5. I was so excited and I couldn't wait to learn from the Sisters! 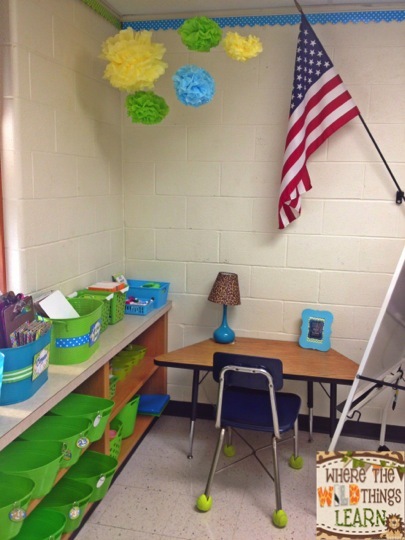 I am a huge proponent of each teacher having their own style and doing what works for them and their class. However, I love getting ideas from others and sharing things that work! 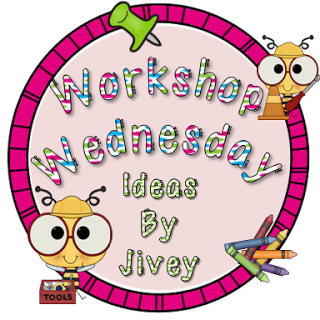 I am linking up with the amazing Jivey to share how I I get Daily 5 and Reading Workshop started in my classroom! I always start my talks about Daily 5 and reading time with these three books. They are perfect for covering the main structure for Daily 5. They are very simple, but leave room for a lot of discussion with my fourthies. As we read each of these books, we work on creating our anchor charts for Daily 5. 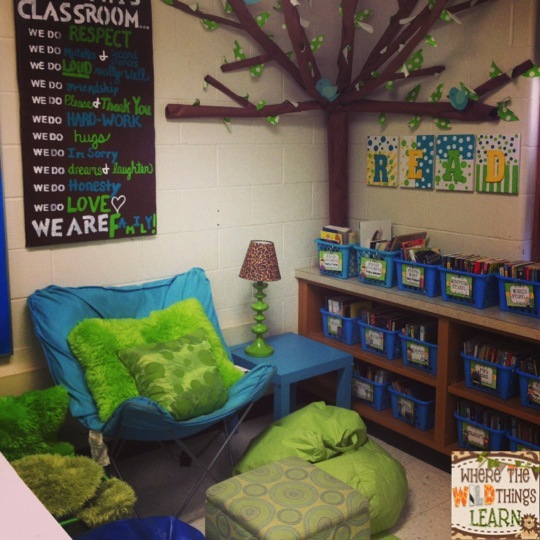 We talk about what each station should "look like." 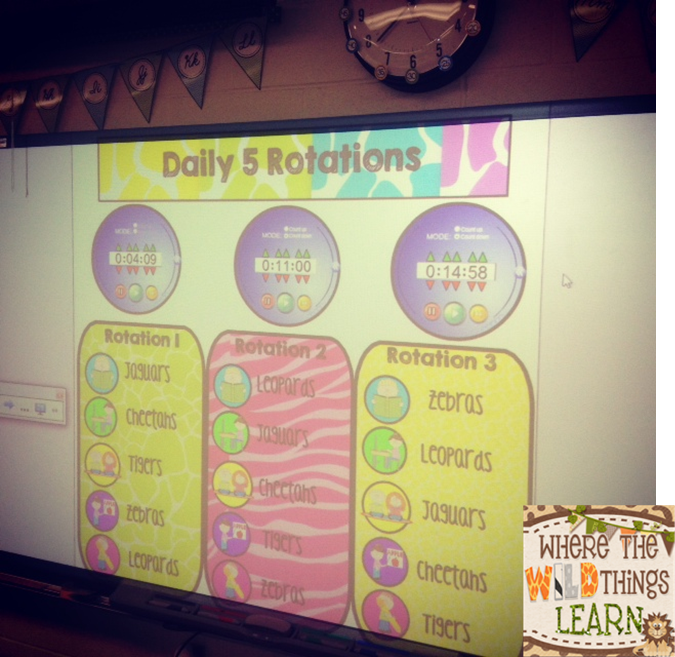 Now I use Daily 5 for time to work 1 on 1 with students, or with a small group. When I work 1 on 1 I pull kiddos out while they are at Read to Self. 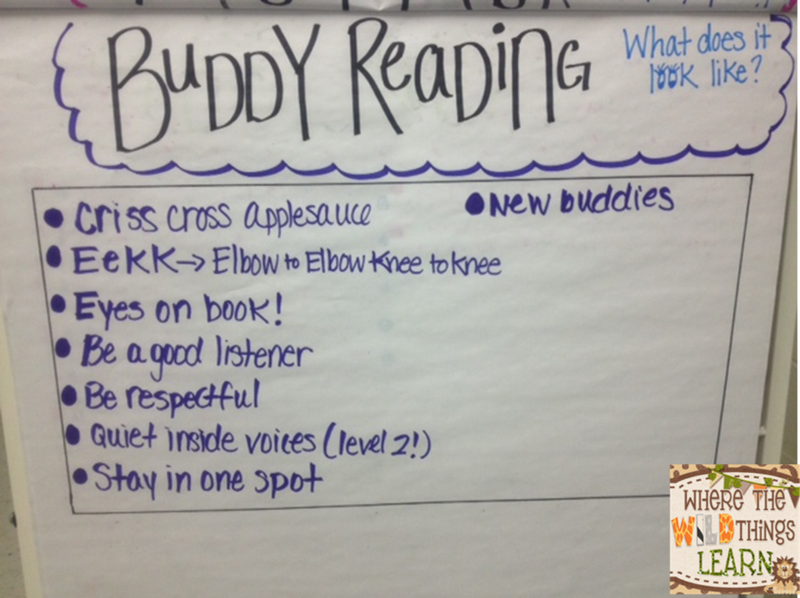 If I do a whole group, I work with the entire group during the Buddy Reading station. 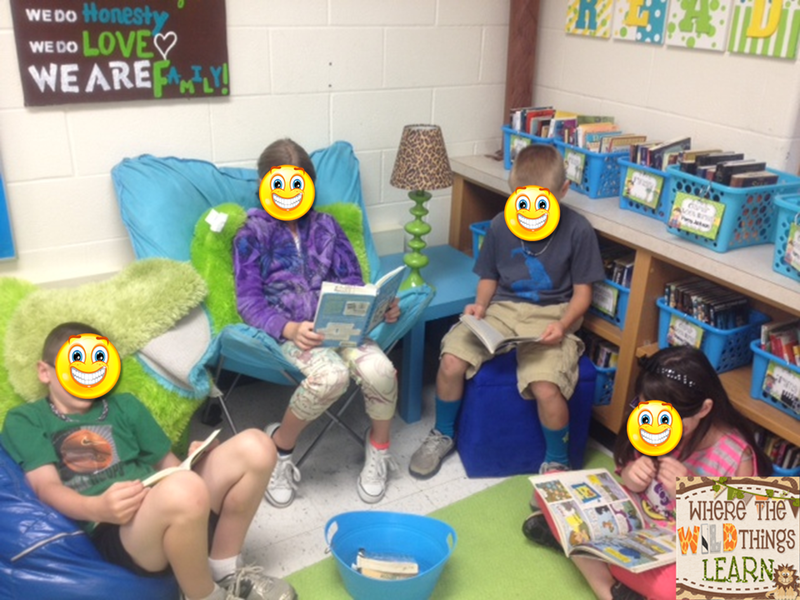 So it is Buddy Reading OR Reading with Mrs. Cap! When we're all done I cut these up and hang them in the stations! 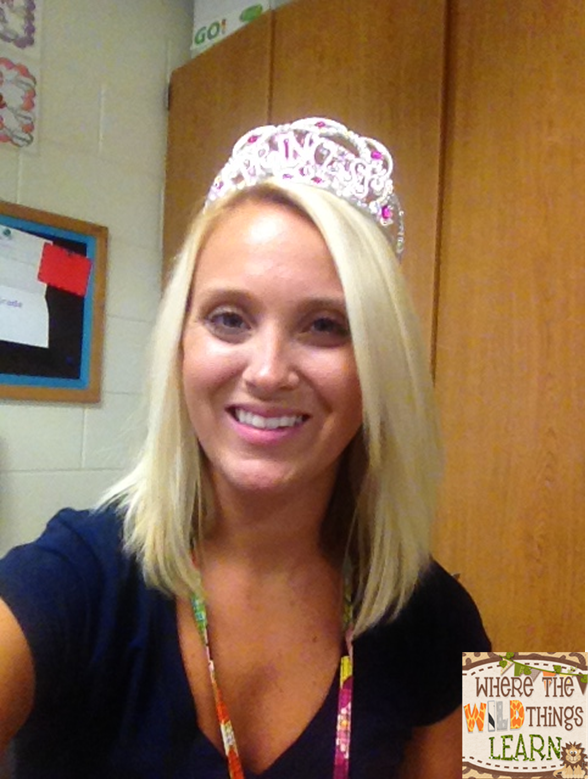 Next we talk about my favorite classroom management tool, MY CROWN! The kiddos just love it when I first pull this baby out! I've had it sitting out all year in my crate with my guided reading group stuff, and every kiddo has asked about it at least once. I tell them the crown means the queen is in the building, and we don't interrupt the queen! We talk about how students need time with Mrs. Cap that is uninterrupted. 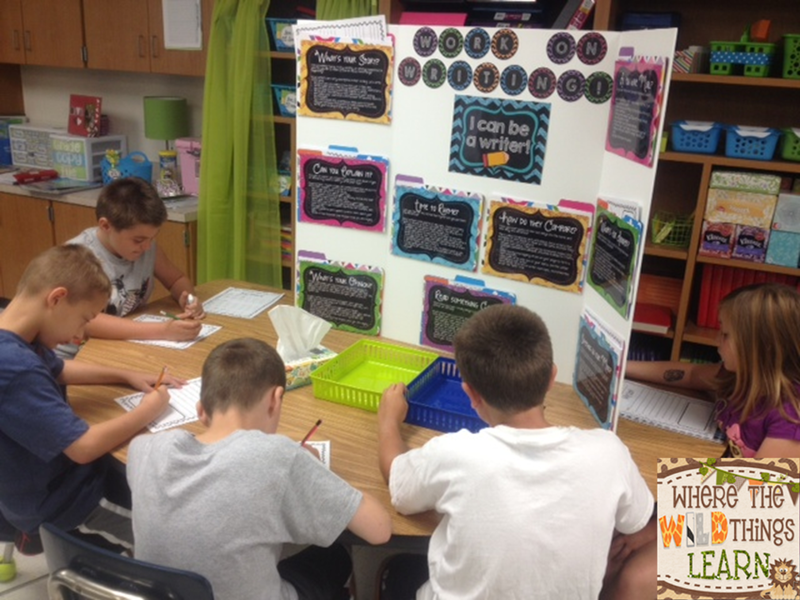 We discuss problem solving strategies and make a list of ways that they can solve their problem without me. 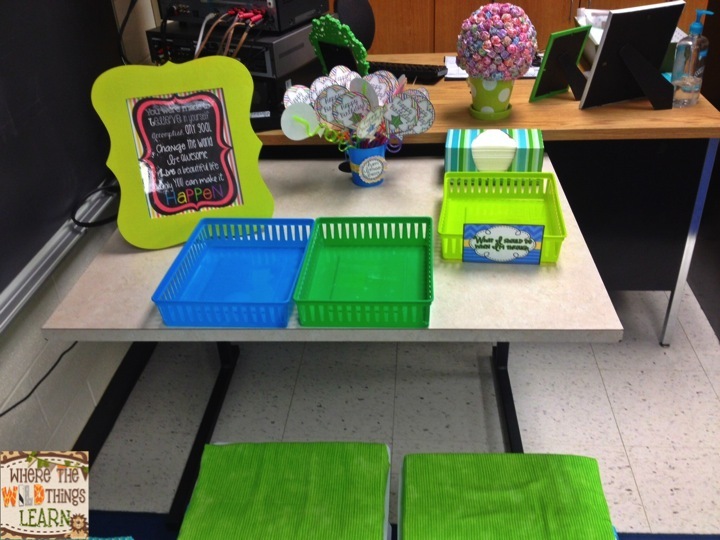 *Instead of classroom jobs, I have a class "VIP" each day. The VIP becomes the mini teacher when I have the crown on, so they help with any problems students can't solve on their own. The other stations I simply go over the directions with them. 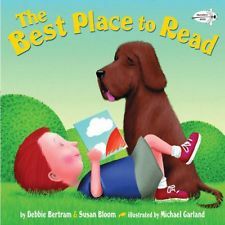 At read to self students can sit in the reading corner and read any book from their book bin. 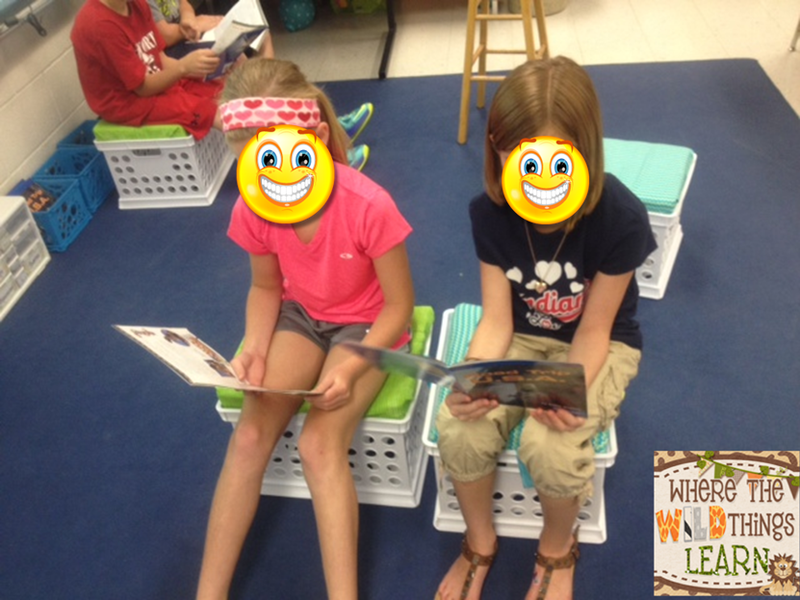 To get books in our book bins students can shop on their "Team day." I have a team of the day each day of the week, and on that day they are responsible for making sure the entire Daily 5 is cleaned up and put back in order when they are done, and they get to book shop. So Monday is Team 1, Tuesday Team 2, and so on. Some days I tell students which one to sign on, others I give them the choice! 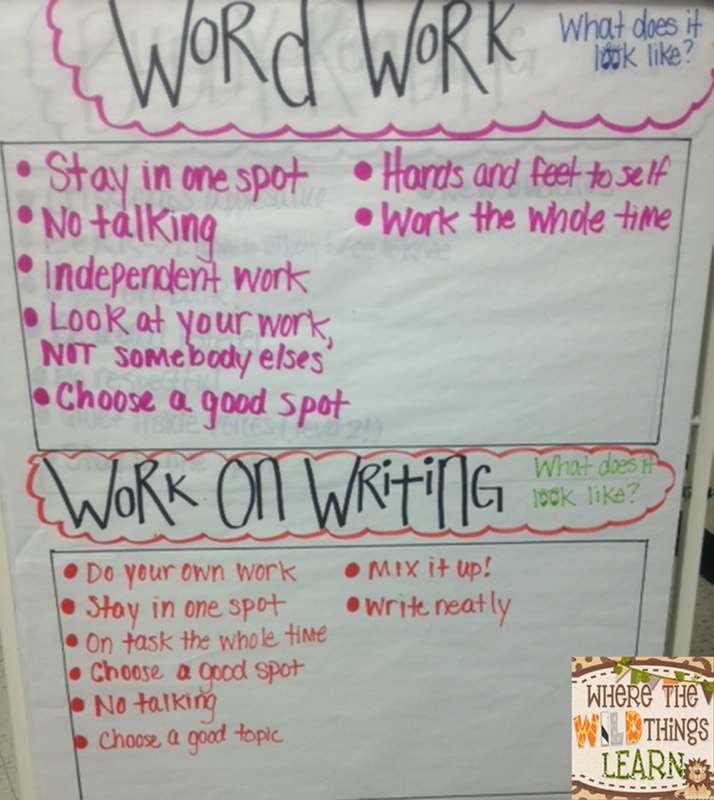 When students go to Work on Writing there are two things they do. MOST of the time, they pick a writing choice off of my Interactive Work on Writing Board. They have to mix it up (can't do the same one every time) but it's a free choice. When they complete the writing, they show it to me and I just check for completion. If they don't finish during the station, I have "Works in Progress" bins for each class and they put their paper in their to finish later. When we are working on something specific in Writer's Workshop (I will blog about this later!) I will mix up this station. My students LOVE when I put my Whole Class Writing Journals out and they get to choose one to write in, and they love the Monthly Writing Prompts for the School year. At Buddy Reading, I have a mini bin on my carpet for each of my groups with their group label on it. 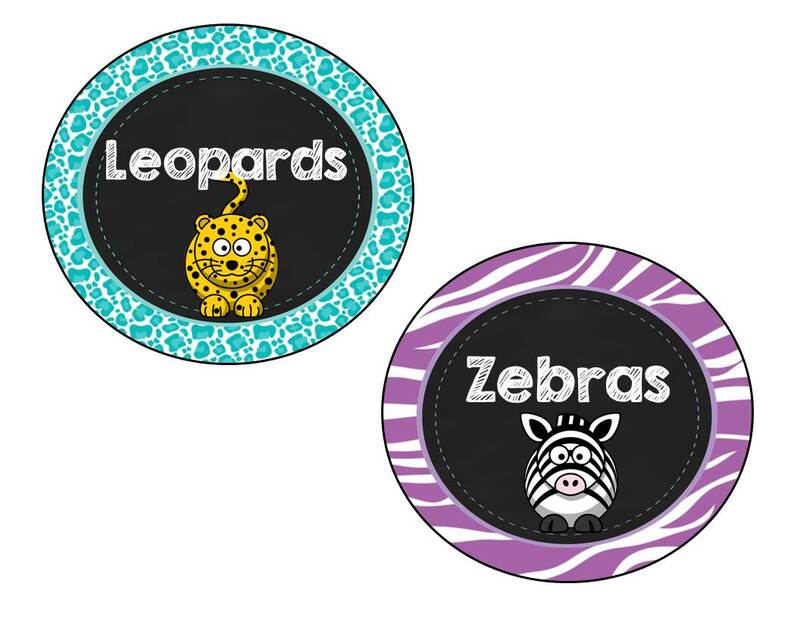 I use animal names, and the kiddos love this! If you want my tags, you can pick up the pre-filled ones with my group names here, or an editable version here. I do not give my students free choice of stations. I have found that for my class to be most successful I need a little more structure during Daily 5. We complete 3 stations on Monday, and two on Tuesday where they rotate in groups, and the same thing with Wednesday and Thursday. 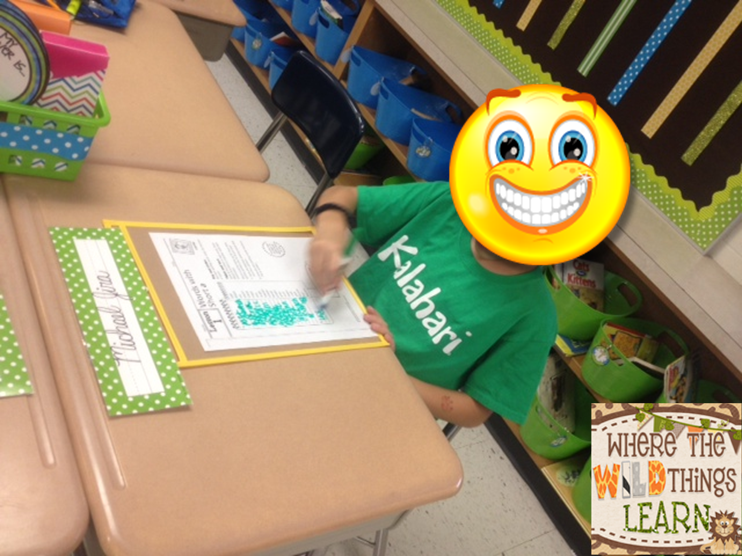 (We do not do stations Friday because we have Kindergarten buddies.) I do mini 10-20 minute reading lessons before and after Daily 5 each day. I hope this helped you in some way or gave you some ideas! 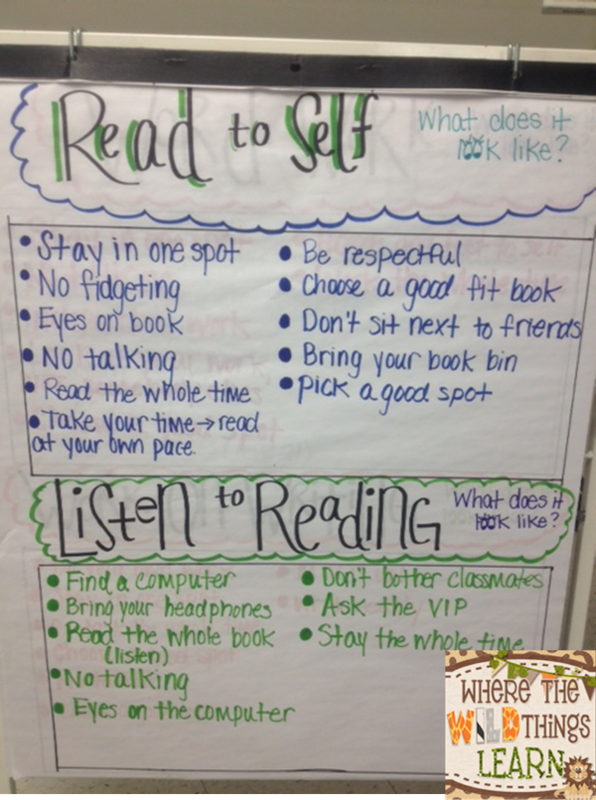 I'd love to hear how you structure your reading workshop/Daily 5. 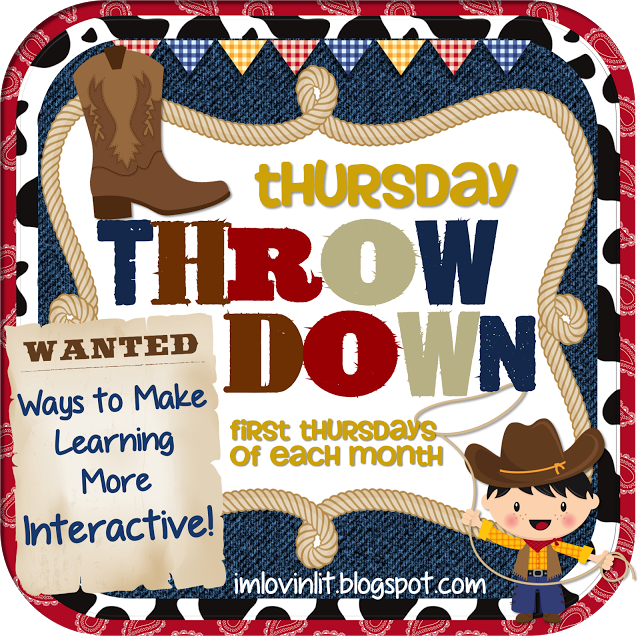 I am also linking up with another of my BBB's, Erin, whom I adore for her so fun Throw Down Thursday Linky party! The poster board is to die for! Love it!!! You are so talented! Glad to hear you're implementing the Daily Five! Have fun with it!!! I love seeing how you run your centers/reading! I have something similar to the crown...but mine's a blue lei crown :). Thanks for sharing! Thank you!! Love the blue lei, too! Great idea! Thanks for sharing how you run your Daily 5. 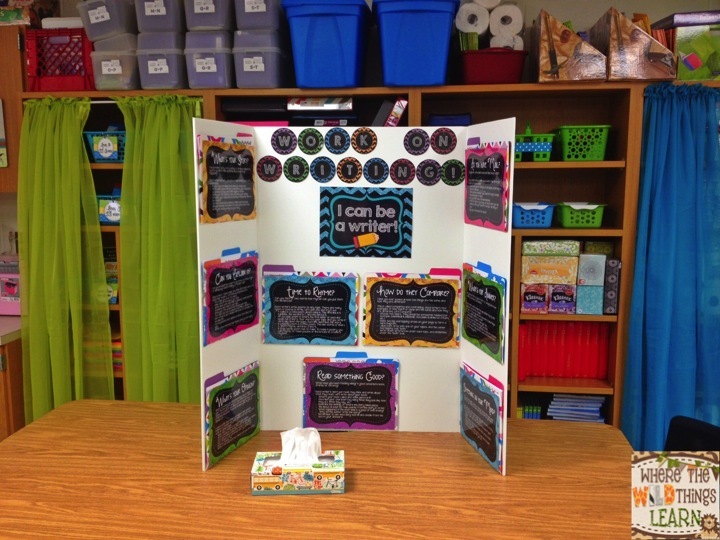 I love your anchor charts and wish I had a Smartboard so I could use your rotation board (we have Epson projectors). 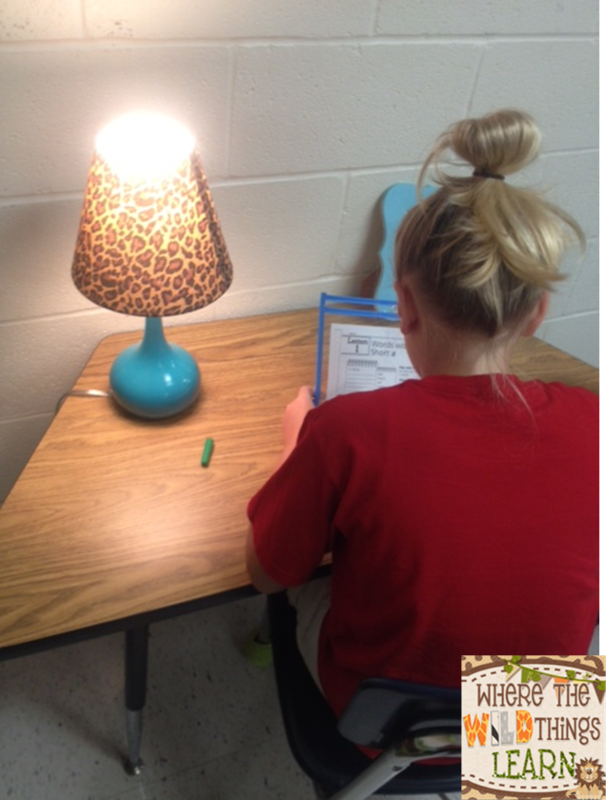 I agree that my class runs better with a little more structure in where they are working and what they are doing - free choice has not been a big hit for me. Of course :) Awe, I wish you had a Smartboard, too! Do you like your Epson? I've never used those! Glad someone else can relate to my "no free choice! " Thanks for sharing, love all of the pics! LOOOOOOVE the crown! What a cute and fun reminder for students not to interrupt! Thanks, girl!! :) I love wearing it, too ;) haha! I love the crown and totally need one. This class is still learning how to not interrupt me when I am working with groups. I say the same thing to my kiddos when they interrupt-"Are you bleeding or dying? Then please problem-solve." They are getting finally getting it! I love the crown!! I also love BookFlix and TrueFlix! Ok, I love this whole post! :) Thanks for linking up!! Thanks, girl!! The crown works great! I also love Bookflix and Trueflix! Amelia, I am thanking the Lord I found your post this morning. I am struggling with how to do all I need to do and still feel like I am teaching. I love Daily 5... I'm just so afraid the kids are not getting what's needed... can we possibly chat by email about schedules,etc? I teach third grade. lswafford@lcsbmail.net Thanks again for sharing! 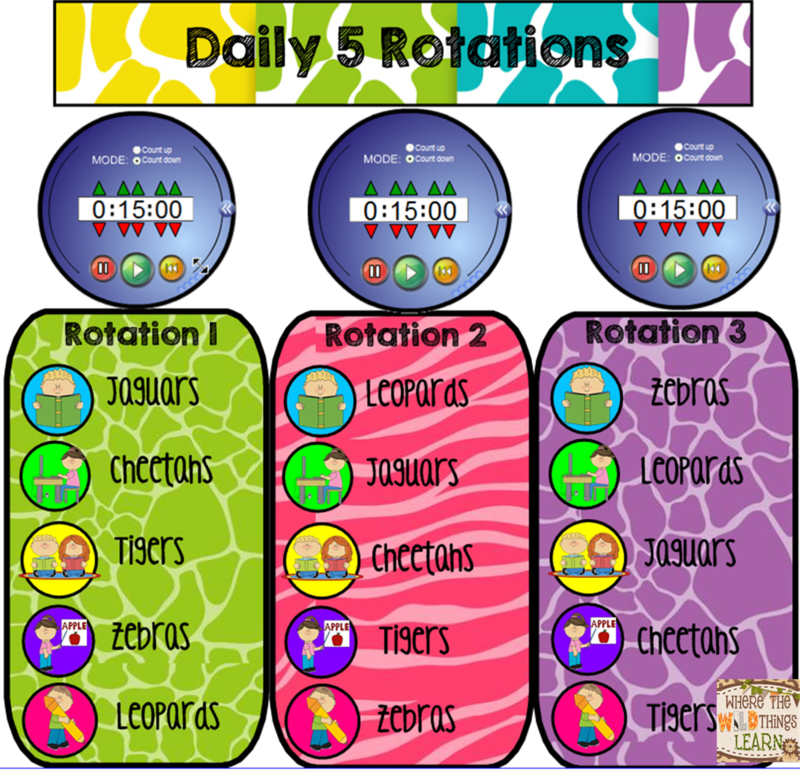 Love the Smart file on Daily 5 rotations. Question about reading groups...when do you pull for guided reading? I teach kindergarten and our school is implementing the daily 5 and I'm trying to get a better understanding. I need that structured rotation as well but I gotta get the reading groups to my table. Do you pull groups during the rotations or after? Also are your groups heterogeneous or homogeneous? Hi! Great questions. Hopefully I can answer them! I teach Language Arts to two different groups. I have them each for about 2.5 hours, and on Tues/Thurs I use a half hour to teach SS. I start off with a 15-20 minute whole group lesson on our skill of the week (introducing or reviewing). Then I do a 10-15 minute writer's workshop or grammar lesson. On Monday's/Wednesdays we do 3 15-20 minute stations (depending on the time we have.) I assign my students to Daily 5 groups based on their levels. They rotate through three stations on these days, and then on Tuesdays and Thursdays they rotate through the remaining 2 from the 5. Does that make sense? I call buddy reading "meet with the teacher" time, too. That's the time I pull students out for 1 on 1, or most of the time I work with the small groups on reviewing our whole group lesson or reading literature at their level. This is a great post! 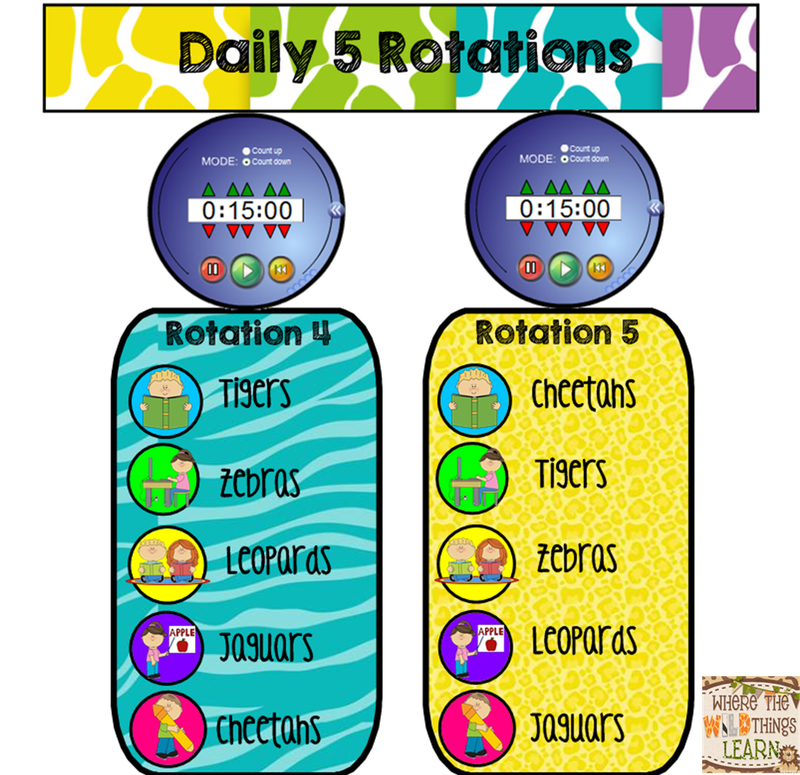 I decided to implement Daily 5 when we returned from winter break and this helped SO much!! Thank you for sharing!! !